With some leftover bits of yarn but no pattern I gathered up my confidence and knit up this hat by just following the gauge guide on the yarn wrapper after measuring my head and a few other hats that fit well. I am shocked that it fits and I actually like it! Inspired by Kristin Nicholas’s gorgeous book Kristin Knits to do a subtle bit of color work. Kristin’s book has helped me to advance from long time beginner knitter with an awkward left handed knitting technique to now enjoy working with color for more interest and style. 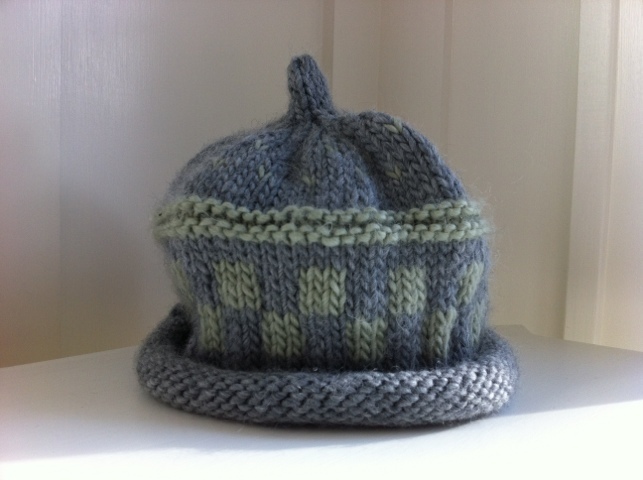 I really like quickie projects like hats-no agonizing about unfinished work. I do it and get it done.